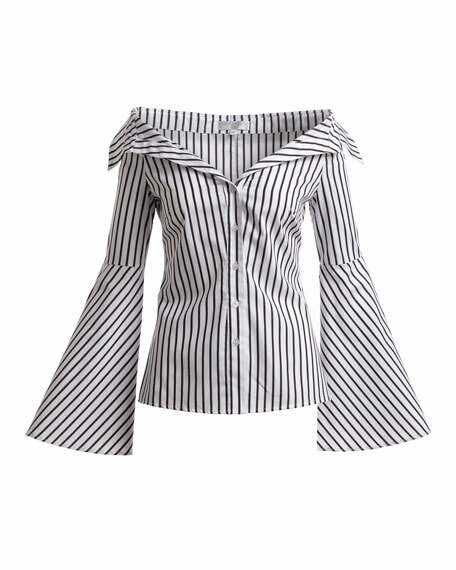 Caroline Constas "Persephone" striped blouse. 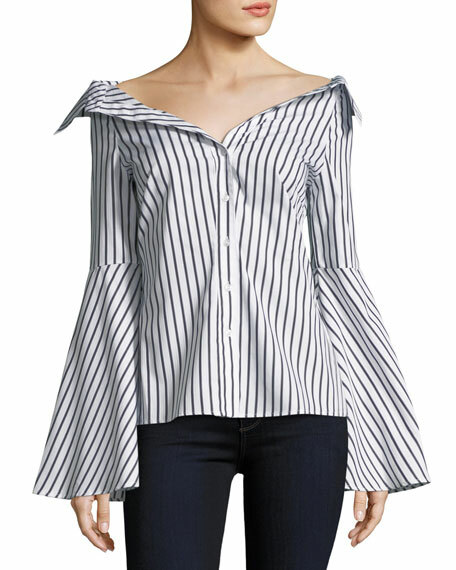 For in-store inquiries, use sku #2399615. 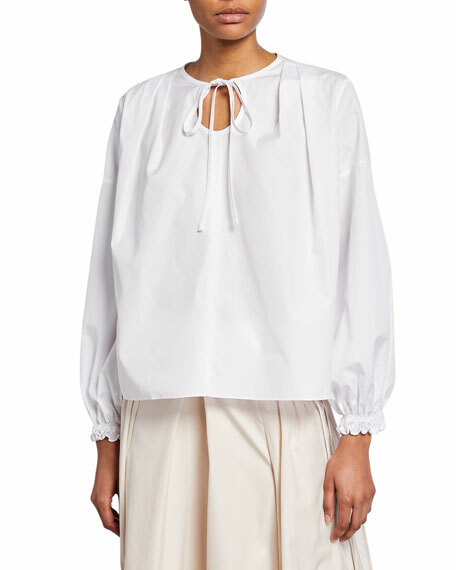 3.1 Phillip Lim poplin blouse with a circular cutout at the neckline. 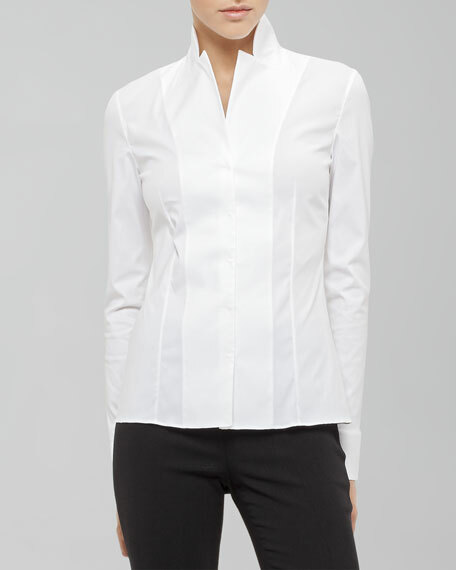 Crew neckline with ties; keyhole front and back. 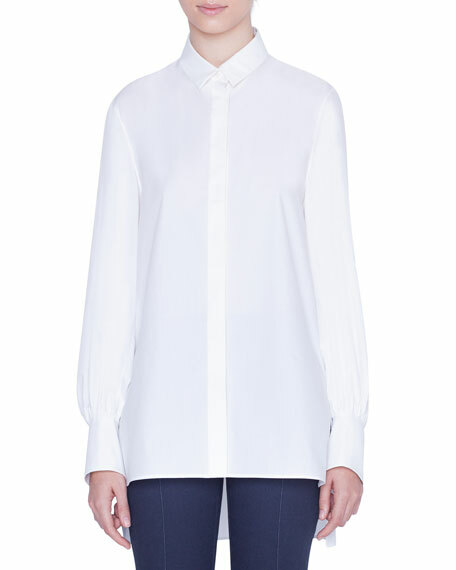 Long sleeves; gathered cuffs. Relaxed fit. Straight hem. Pullover style. Cotton. Imported. 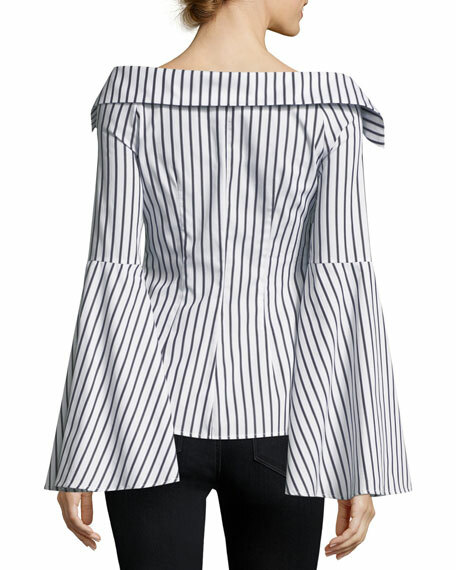 Akris punto blouse in stretch-cotton poplin with jersey back. 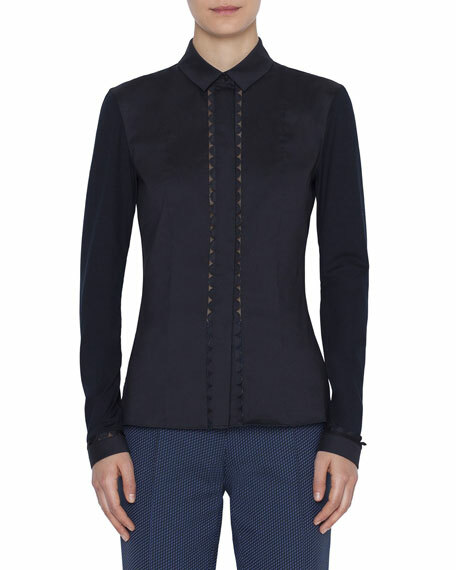 Kent collar; concealed button closure with Memphis scallop trim. Long sleeves. Semi-fitted. Straight hem. Cotton/nylon/spandex. Imported.